Welcoming America is a national nonprofit that helps communities across the country reach their full economic and social potential by becoming welcoming towards all their residents, including immigrants. Welcoming America brings together a broad network of non-profits and local governments from across the U.S. and strengthens their work with the know-how, tools and incentives they need to transform their communities. 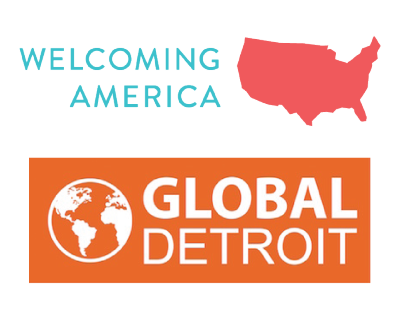 The Welcoming Economies Global Network is a project of Welcoming America in partnership with Global Detroit. Welcoming America envisions an inclusive nation, in which all people, including immigrants, have the opportunity to reach their greatest potential, engage with their community, and fully contribute their talents – expanding prosperity and well-being for all. This tool provides an overview of strategies to engage the broader community in an immigrant integration context and offers numerous examples of projects throughout the country. Article by Welcoming America Deputy Director Rachel Steinhardt in the Summer 2013 issue of Communities & Banking, published by the Federal Reserve Bank of Boston.